You'll reach for this colander again and again. 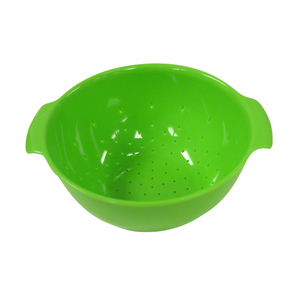 Ideal for draining pasta, seafood, vegetables or fruit. Made of durable plastic. Has a 4 leg base for better drainage. Measures 4"/10cm tall and 8"/20cm diameter. Holds 8 cups/64 ounces. Microwave and dishwasher safe. Comes in Green.